From the crumbling walls of an 18th century mansion, to a living-lab of interconnected technology, IBMs '21st century innovation in an 18th century house' is a prime example of Internet of Things (IoT) technology. Hursley House now uses smart digital tracking to monitor the building's physical and functional characteristics. The term, 'smart building', is bandied about quite a lot. But what actually qualifies a building as smart? Ultimately, it comes down to having purposeful visualisation of data. It's not about hoarding data, but rather having a clear reason to collect the data in the first place. People should always ask 'why' they need the data — and the reason is different for every business. In the case of IBM's work on Hursley House, office managers should take note of this stand out example. By connecting the buildings lighting and heating systems with the building's meeting calendar meant empty rooms weren't lit or heated unnecessarily. IBM also connected the local weather forecast data to the heating, for further insight into how much heating is required. To IBM, the 'why' is obvious — to save energy and money. From smart plugs to automated computer shut down, the office space provides a vast opportunity for interconnectivity. You can even touch base with sensors in water meters, air conditioning and security systems. Again, a business will need a clear idea on why this data would be of any benefit to them. Perhaps it is to save money, improve security, or to reinforce a green agenda. It's personal to the business and its objectives. However, the potential of a smart building can run much deeper. Wasting a small amount of energy by heating an empty room isn't disastrous for a business, but there are some workplaces for which smart insight of the building is critical for safety, particularly in the pharmaceutical and biomedical industry. For example, if the seal of bio-hazardous rooms containing bacteria and viruses becomes defective, people need to be alerted as soon as possible. Equally, monitoring room pressure and detecting gas leaks is vital for the health and safety of employees. Suddenly, the idea of a smart building becomes much more compelling than just using it for basic energy management. Industrial automation software, like COPA-DATA’s zenon, can help businesses to visualise reams of data in one place, but the next step is to store and manage the ever-growing expanse of building data. Integrating cloud platforms, such as the Microsoft Azure cloud platform, allows a powerful interaction to take place. All users can access data relating to the work place remotely, whether that be on smart phones, tablets and smart watches, all from a single, cloud-based system. The future of smart technology in the workplace is not limited to the walls of the factory, office or laboratory. Instead, organisations will use this technology on a grand scale. 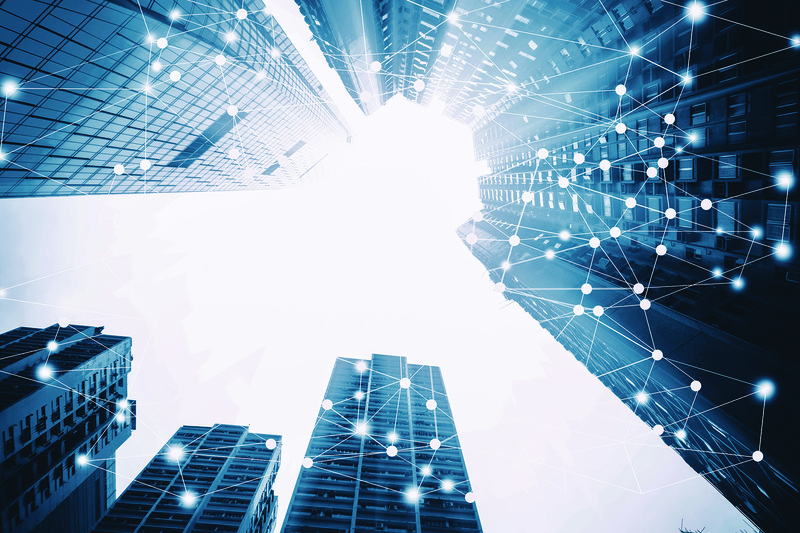 When applied to multiple buildings and sites, smart technology will make real, significant changes and contribute to part of a larger smart city. One company that has already shown wide-spread success with a multi-site approach is Slovenian renewables producer, Gorenjske Elektrarne. The company has demonstrated remote monitoring and control for distributed renewable energy generation of 23 photovoltaic plants, 15 hydro power plants and three combined cycle plants all over the country, using zenon in combination with Azure cloud services. This company now benefits from remote user access on the zenon application via smartphones, and simple, rapid access to alarms, events, trends and reports wherever and whenever it is needed. The 'why' for Gorenjske Elektrarne is obvious — it's all in the name of safety. Whatever the 'why' may be for collecting and visualising data, whether its safety, as it was for Gorenjske Elektrarne, or energy efficiency, like the case of IBM's 21st century innovation, connecting things that weren't previously connected, creates a powerful web of intelligence that can benefit businesses, the environment and employees. Adrian Kimberley, Regional Manager at industrial automation software expert, COPA-DATA UK. Are your machines ready for the future?